Barrios Distributing is designated as a Service Disabled Veteran Owned Small Business. As such, we are able to bid on government programs and receive special price considerations on contracts with the USDA, DOD, and Homeland Security. We deal in commerce and in the movement of goods and services from the source through a distribution channel and right up to the final customer, consumer, and/or user. We are actively involved in the receiving, storing, and disseminating of incoming goods or materials for use. 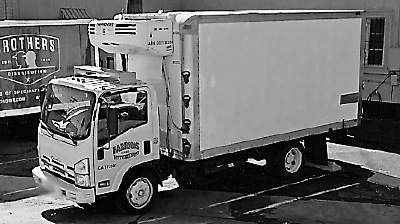 Refrigerated trucks help us keep USDA product cold and fresh as it delivers to locations throughout San Diego County.